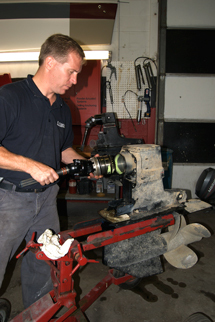 Starboard Marine is a fully certified Volvo Penta, Mercruiser, OMC Cobra, PCM, and Indmar service center. 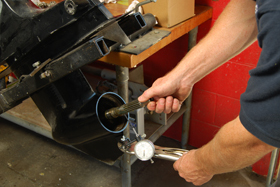 A dynamometer is a device that provides a measurable load on an engine and is used to measure the power produced by the engine. 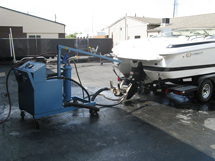 With our full load marine dynamometer we have the ability to evaluate an engine’s power and acceleration. This can be performed at our shop. 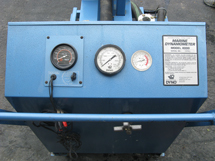 Many times customers have concerns about engine performance, but they will not show up on an engine operating with no load. 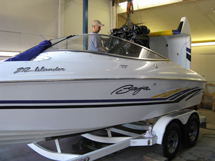 Fully certified service for Mercruiser and OMC Cobra. 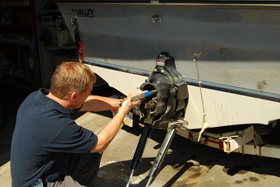 Starboard Marine is a certified Volvo Penta warranty facility.